Almost every little girl dreams of being a mermaid once in her life. This inspiration is probably led by Walt Disney movies ‘The Little Mermaid’, but then when they grow up this dream is lost because as a woman, we no longer can live in our dreams. But this is not true for ‘Mermaid Kat’ – Katrin Felton or former Katrin Schwarz - “Miss Germany International 2006”. This real life mermaid and beauty queen is living out her dreams to this day enjoying her underwater life as a professional mermaid alongside her many modeling jobs. After joining in the SeaStar Discovery contest where she was crowned ‘“SeaStar Girl 2008″, Kat found a new passion in her world - underwater and living out her childhood dream of becoming a real mermaid. 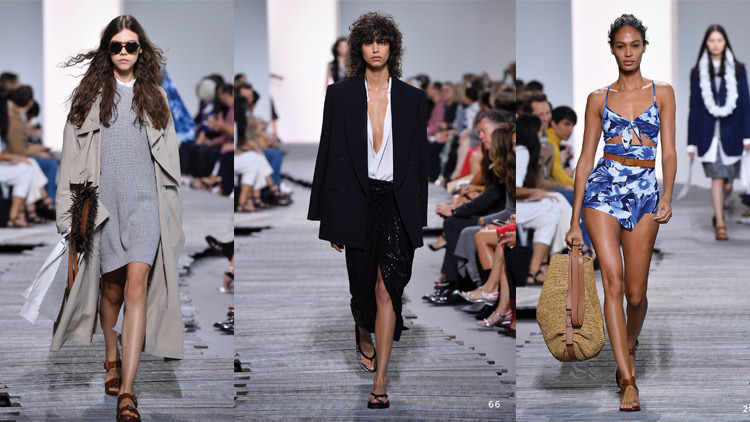 Since 2008, Kat worked as an international photographic and runway model for modeling agencies and clients around the world. In December 2009 she married Spencer Felton and then decided to leave Europe in August 2010. They backpacked through Southeast Asia and ended up in Sydney, Australia. Whilst working at fundraisers for UNICEF, the couple continued their diving training in Australia and decided to become Instructors. After their Australian visa expired, they moved to Phuket, Thailand. They both enjoy their SCUBA instructor work and it is here in Phuket where Kat started training her free-diving skills. Her love for diving didn’t keep Kat from her passion in becoming a mermaid which she finally had the opportunity to make it comes true. Her first mermaid tail was ordered from the internet and since then “Mermaid Kat” was born. Her mermaid career developed instantly into a fully fledged business because of its popularity with young children. 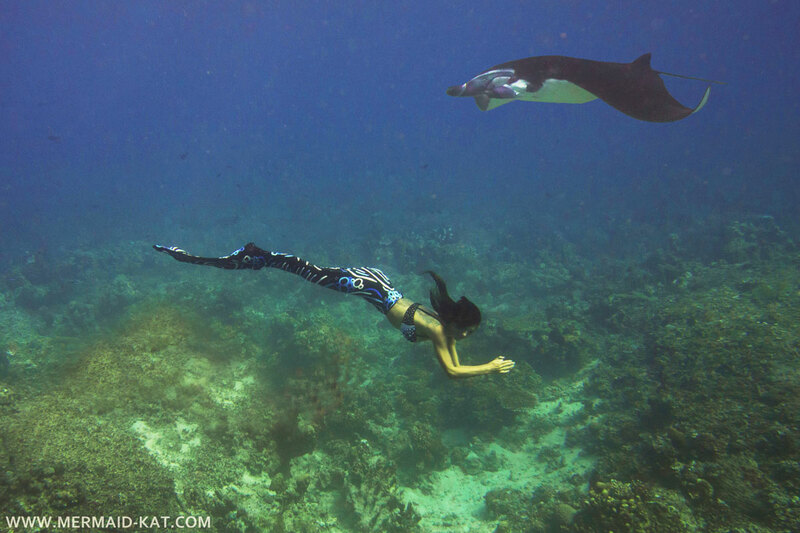 Since then, Mermaid Kat was seen everywhere from events to films and photo shoots above and under water. 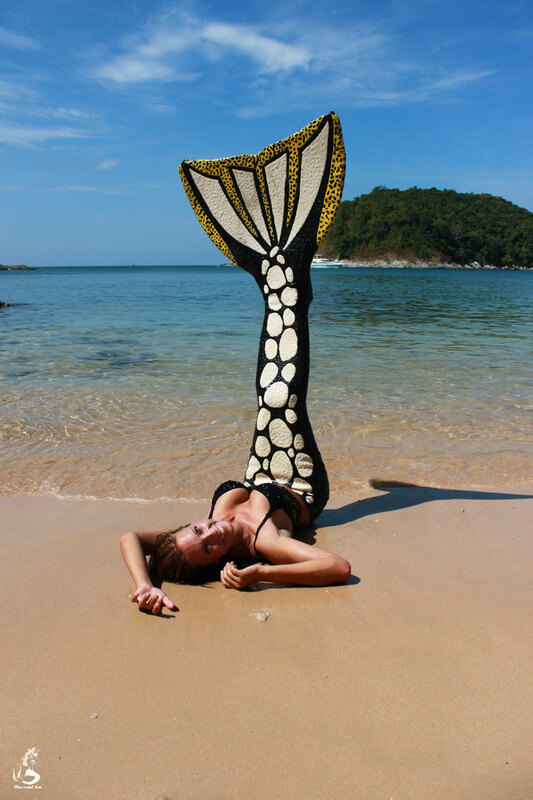 On August 2012, Kat hosted the “Mermaid Kat's International Mermaid Workshop 2012″ in Phuket for the first time. This workshop became the world´s first mermaid training program with six girls from around the world training to become a real life mermaid. Since then, the mermaid workshops have been held in various countries included Thailand, the Philippines, Malaysia and Indonesia. She will also host her next workshop in February in Phuket and also soon in Australia and Germany. All her mermaids received a good feedback and since then they have been extremely popular being booked at events and grand openings while helping to spread the message of how to protect the eco-system underwater. 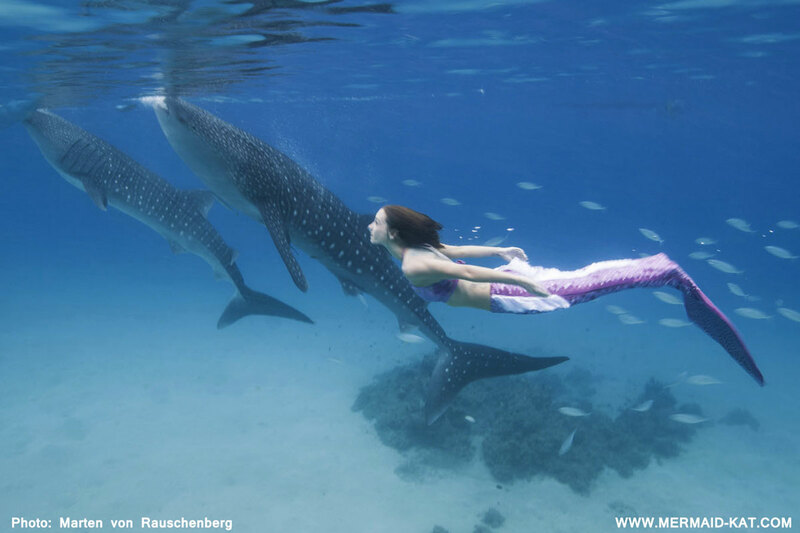 With her creative mind as a model and her underwater experiences, Mermaid Kat opened her first online mermaid shop (http://www.mermaid-kat-shop.de/) in Germany in 2013. Her shop is dedicated in helping fulfill the dreams of those who wish to live out their childhood passion as mermaids with her own design and custom-made mermaid accessories. “I test everything to be sure they are good when used underwater. I want to create fins that look good but also be good quality. Since I am a scuba instructor, if it doesn’t work for me then it doesn’t work for anybody,” said Mermaid Kat. Customers can find mono fins that are flexible and can be adjusted to fit the body from her online shop. There are mermaid tails for both kids and adults sizes. The new unique custom-made printed tails is also available alongside the newly released products fingers’ fins. “We are also starting to create the silicone mermaid tail which is the best mermaid tails you can ever get with each tail weighting about 20 kilos. It’s very heavy but it looks super real. Each tail takes two months to complete,” said Mermaid Kat. Mermaid Kat is now happy with her life where she can help people realize their dreams. Many girls are becoming mermaids thanks to her workshops. “I just knew how much I wanted to become a mermaid and I was just trying to find ways to get a mermaid tail”. When I saw the problem I had with my first fin, I saw room for improvement. Since I’m a scuba diving instructor, I want people to believe me to be true professional selling products of high quality. 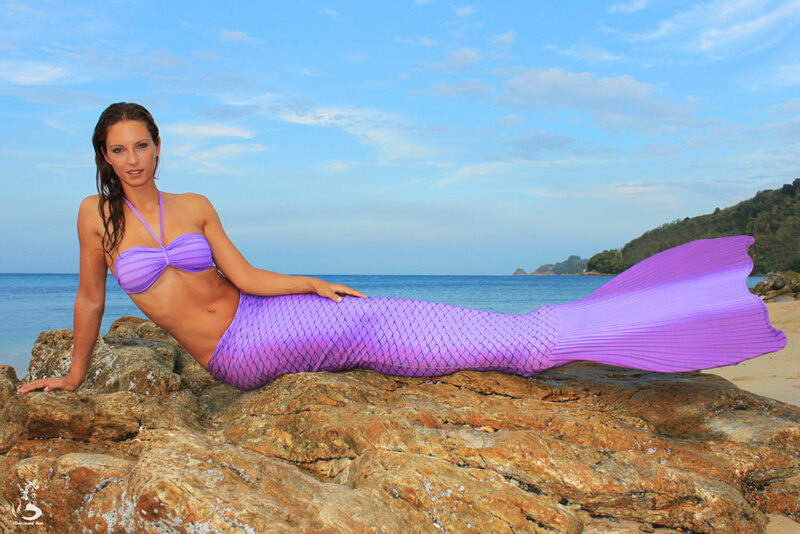 “In Germany the mermaid community is growing, they even have mermaid clubs there! The tails from our shop are on German TV shows many times, so it’s very popular now,” she said. Kat’s dream has not yet reached its end. 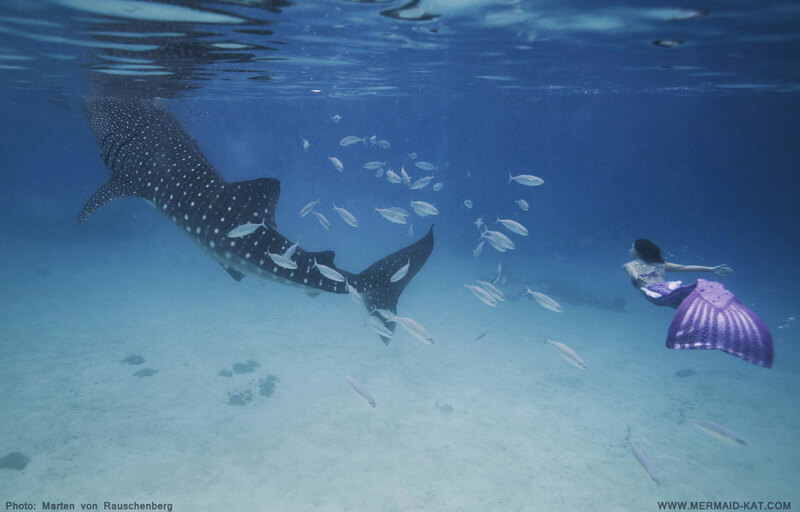 Although her life is still involved in modeling and fashion, her adventurous spirit continues to grow as her passion to do something more and different underwater takes shape. 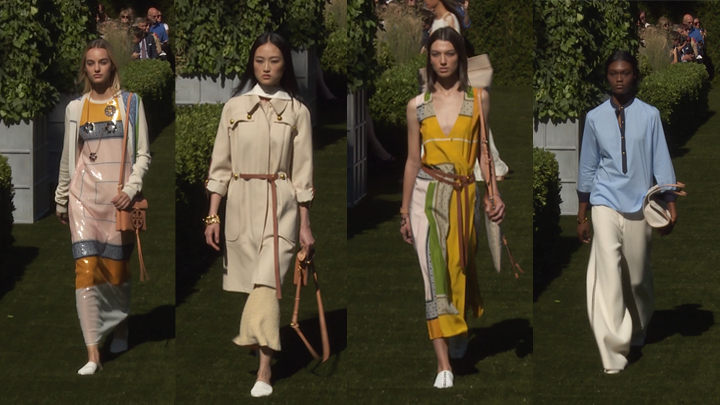 “Modeling has always been a big part of my life, but when I thought about my age and I’m not getting any younger, there will be the times when I can’t work as a model anymore. I just want to create something that will always make me happy, and that definitely involves underwater related work. It doesn’t matter if it’s being a mermaid, a stunt woman or a model, as long as it’s underwater I will be very happy,” she added.